FOR SALE: Scroll down for details. Bruko, solid maple body, slimline soprano ukulele with Aquila Nylgut strings. 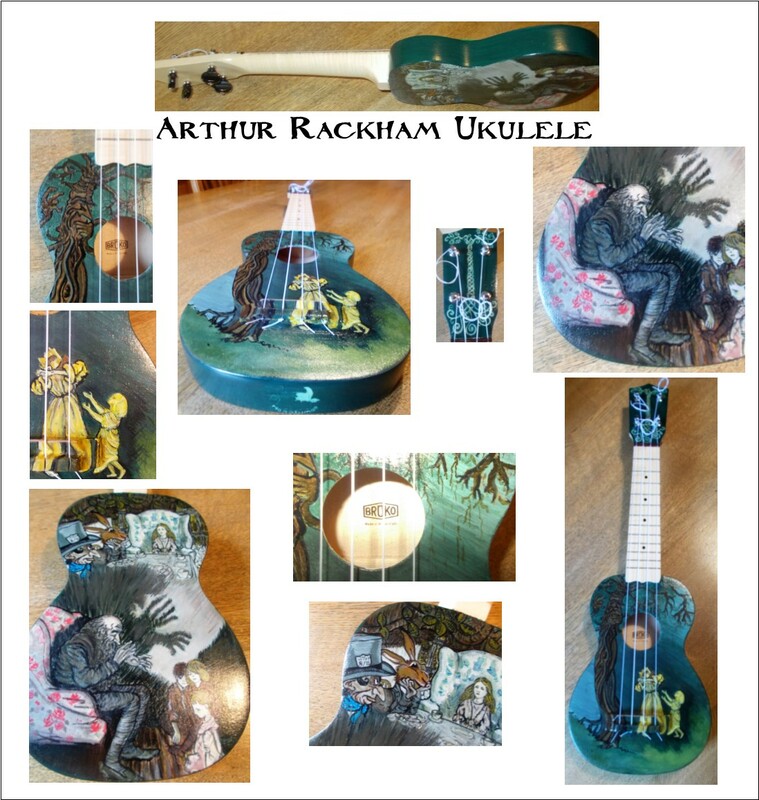 Hand painted with images from the works of Arthur Rackham, an artist and book illustrator in the late 19th and early 20th century.